While standalone GPS devices remain popular, more and more people are turning to their iPhones for driving directions. GPS apps are more sophisticated than ever, with accurate maps, voice-prompted turn-by-turn directions, and features such as traffic and safety camera alerts. We tested many of the free (and paid) apps available for iOS devices to help determine which ones will get you to where you're going the fastest, and which ones aren't even worth the download. Therefor to help you out with in finding the best one we have selected Gabber map app for your iOS devices. 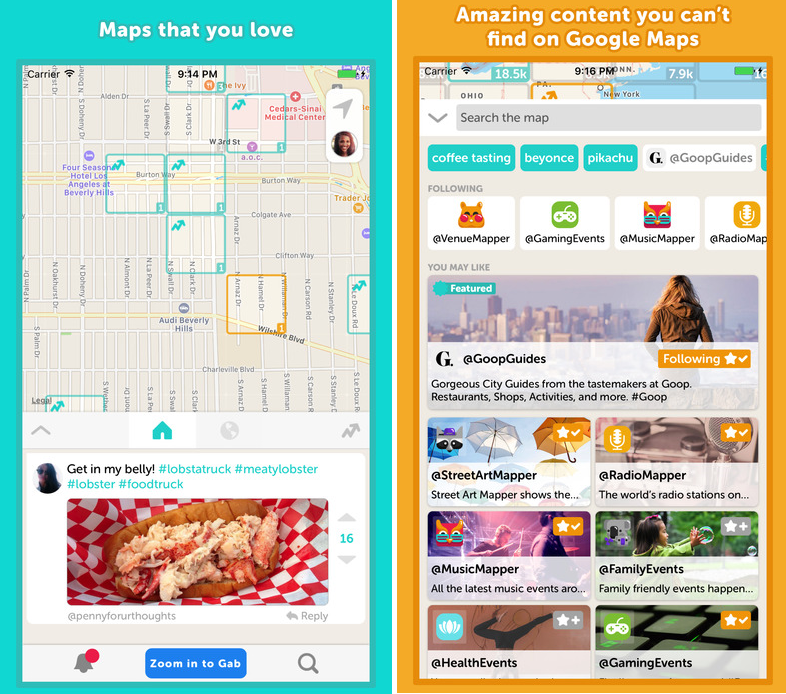 Gabber map is location-based app that is unique in the way it works. With Gabber map, you can map locations and easily share it with your friends using different communication platforms. It is the best and handy tool for travelers also. If you are new to any area and you want to find a place to have some quality food or you are in a mood to listen to some relaxing music or if it is something about hanging out in the town, you will get the right and nearest place with Gabber map. This app also allows you to chat about particular place in specific location live with the people who visited. If you are interested in more accurate and précised information about a particular place you can follow the experts that you can find with in the app. Gabber map also allows you to post a place you visited you can even share the pictures of your visit either it is museum or restaurant or if it is an art gallery share whatever you want to let the people know about these place and many other amazing features. To uncover more features download it today free on your iOS devices and never miss anything interesting around you with Gabber map.